We’re all about one game here at AtariAsteroids.net, and one game only. The sequels and clones all stray from perfection, because with Asteroids, the more you add, the more you lose. It’s not about being flashy and destroying asteroids… it’s about something that’s supremely simple in design, yet complex in performance. Michael Lazer-Walker’s Thrust Vector for iOS actually isn’t an Asteroids clone, aside from the fact that you’re a triangle navigating asteroids, and it has the words “thrust” and “vector” in the title. But it gets our hearty approval because it only has one button (which beats Asteroids by four), is super simple to understand, but is surprisingly hard to master. 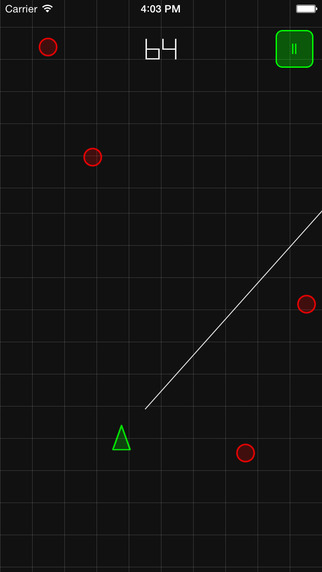 It’s an infinite runner game, so you’re constantly scrolling forward, with asteroids in your path. A line sweeps back and forth from the ship, and touching the screen thrusts you forward along that vector. You try not to crash into the asteroids. And like Atari Asteroids, you don’t play to win… you play to survive. What’s more, it turns out that Lazer-Walker has some other excellent creations, including another one-button game where you’re a telegraph operator (makes me think of the classic leaf-switch button on an Asteroids machine), and Hello, Operator!, which uses a vintage telephone switchboard. This doesn’t really have much to do with Asteroids, but it’s cool. Check out Thrust Vector at the Apple App Store, and Michael Lazer-Walker’s website. 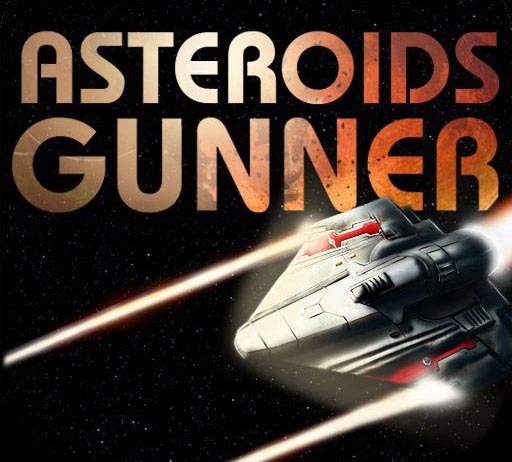 Atari released its latest official version of Asteroids today — Asteroids: Gunner, for Apple’s iPad, iPhone and iPod Touch. Experience the next evolution in the legendary Asteroids franchise! Blast your way through deadly asteroids fields and alien war ships to become the most wealthy and powerful Gunner in space history. Work your way to the top of the gritty crystal mining business by traversing through the galaxy and collecting the treasures of the cosmos. Upgrade your ship as you climb up the intergalactic ranks and become a force to be reckoned with! Asteroids made its arcade debut in 1979, and was followed up by Asteroids Deluxe and home game console versions (Atari 2600 etc). Atari all but disappeared from the scene for a while, but returned with revamped versions of their classic titles starting last year. Asteroids Online for Facebook was among the first, now followed by Asteroids: Gunner for iOS. We first heard about this title in September, when the Edmonton Sun ran an article about local Canadian game company Fluik being commissioned for the job. “[Fluik CEO] Rubba was headhunted by Atari after they played his game Gunner Galaxies — starring a spaceship-piloting chicken who also blasts incoming asteroids — at a conference earlier this year.” Rubba sounded psyched to work with Atari. Asteroids: Gunner is similar in concept to Asteroids Online, but simplifies the sprawling universe to just 3 galaxies, and many ship options and variations to three (the original Dart, the heavy-duty Bomber, and the robust Miner). The plot is also slightly revised: instead of working for the good of your mining company, you’re out for personal wealth and glory (plus, saving the Earth). Both are more complicated than Asteroids (1979), where you are a polygon destroying other polygons. The initial download is free from the iTunes App Store, and you accumulate in-game wealth from mined minerals for certain weapons upgrades. You have one ship and access to one galaxy. Further ships and galaxies can be purchased for the price of an average game, and there are online networking options. The game play is fairly simple. 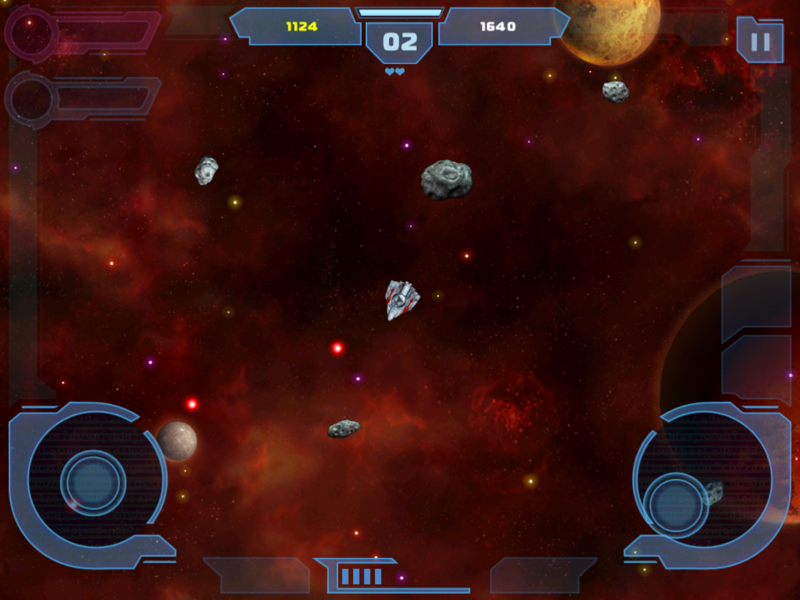 The ship is locked in the screen’s center; one thumb controller scrolls the background, and the other is shooting plus aim. Unlike a lot of modern Asteroids clones, the graphics are sharp and uncluttered. And rather than a driving heavy metal soundtrack, the score has soothing Native American flute-like sounds with and a background beat. In-game bonus items include gold, health restoration, and extra shields which function like a flower in Super Mario Brothers or power pellet in Pac-Man. You can also customize extra weapons, but again, they have a simple, straight-forward interface. The game scales nicely, and is a pleasure to play on both iPad and the smaller iPhone (unlike Atari’s Greatest Hits, where some titles like arcade Asteroids are impossibly small on the iPhone/iPod — although it’s great otherwise). Of course, we’d rather have a beautiful, clunky vector screen, but you can’t carry that in your pocket.